On Sunshine, Anthony Smith’s forthcoming first album for his own Krankit Records, the singer-songwriter comes on fun, funky and strong. 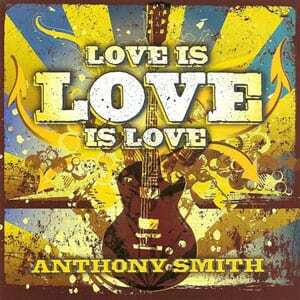 Co-produced by Smith and veteran hit maker James Stroud with Bobby Terry lending additional production assistance, Sunshine features his latest release to country radio “Love Is Love Is Love.” The single is already climbing MusicRow’s CountryBreakout Chart at No. 75. In addition to being a seasoned performer, Smith is also a veteran songwriter whose songs have been recorded by a who’s who of Nashville superstars, including George Strait (“Run”), Montgomery Gentry (“Whattaya Think About That?”), Tim McGraw (“Kill Myself,” “Kristofferson”), Trace Adkins (“Chrome,” “I’m Tryin'”) and many more. That skill with the pen went into Sunshine as well, which features all original Smith compositions save for one.